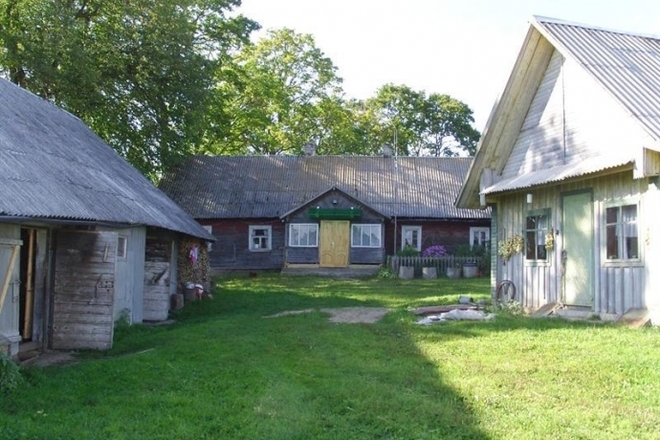 The village is situated by the road Molėtai-Balninkai, on a hill, at the north-eastern bank of the lake Gilužis. The layout is typical to the villages divided to granges. The street lies along the bank of the lake. Rhythmically repetitive volumes of buildings, fences and trees form quite monotonic space of the street. It is relieved by different orientation of cottages and different internal spaces of granges. For the first time, the village Gilužiai, belonging to the folwark Girsteitiškis of the Alanta manor, was mentioned in 1598.